We are thrilled to present Jonathan Rosen, author of NIGHT OF THE LIVING CUDDLE BUNNIES (Sky Pony Press), in the spotlight today! 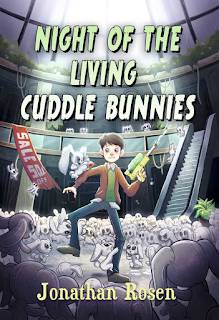 Enter the Rafflecopter below for a chance to win a copy of NIGHT OF THE LIVING CUDDLE BUNNIES! I’ve actually had a pretty eclectic background. I’ve worked in Health Insurance. I’ve worked trading in the stock market, I’ve worked as a teacher. But, through it all, I wanted to write for kids. It’s always been there. I was a Theater major for a little bit, and also took so many writing courses throughout school, that it’s definitely a huge part of me to want to tell stories. Then, several years ago, I remember having a burning desire to want to have a story of mine to leave behind for my kids, and their kids. Something concrete. So, I just decided to take it seriously and dive in. I had always dabbled, but never really jumped, and you can’t dabble at this. You need to take it seriously. So, I took classes, went to conferences, read books, and honed my craft, until I finally reached a point, where I started to receive interest from agents and editors. What inspired your book, NIGHT OF THE LIVING CUDDLE BUNNIES? For years, I had wanted to write a book of the funny/horror movies that I used to love as a kid. Something along the lines of Gremlins and Fright Night. I’m such a wimp with regular horror movies, but I loooooove horror/comedy. I’d had a story in mind, for a while, of evil stuffed animals. I wanted to make them the cutest things, that every kid would want, which of course, led to bunnies. Actually, I have notes going back around six or seven years, about putting bunnies in stories, so it’s been a part of my thought process for a while. I thought evil stuffed bunnies were funny. And that was the one thing I’d heard from agents and editors through the years, about how much they loved the humor in my stories. So, I decided to give them as much humor as I could. By long and winding, do you mean marathon-like? Because, it was more like that one. I worked for years, getting close, then falling back. Getting close, and then falling back. It seemed like a never-ending cycle. I even went to committee twice without an agent. When they both fell through, at around the same time, it was unbelievably disheartening. Still, it was important to persevere and keep going. If you give in to the doubt, you’re done. It took years to get an agent. (Nicole Resciniti) And fortunately, she’s someone who I really like. Let me tell you, it’s been so much better having someone to champion your work and be in your corner, as well as be a sounding board for everything going on in your career. This field is not an easy one. Not to break into, and not to continue, even once you’ve broken in. But, it sure is rewarding to see a finished product. I recently finished a Time-Travel story, which will soon be shopped, and I’m almost done with the sequel to Night of the Living Cuddle Bunnies. This one has Devin and Tommy square off against vampires. After that, there are a couple of different stories I’ve started, which I want to get back to. What is the hardest part about writing MG books? Forcing yourself to tone down certain things. Whether it be violence or language or humor. Sometimes, it’s difficult because you know that the kids in your intended audience, know so much more than what you’re able or willing to write. Still, it really is so much fun. I’m not sure easiest is the proper word, because nothing about writing is easy, but definitely the part I love best about writing MG, is the fun in the stories you get to tell. I know MG can and does tackle sensitive and important subjects, but there’s an awful lot of fun too. Fantasy and humor and adventure, that you generally don’t think of as a part of YA. I always hate this question, only because you get so many of the same answers, but then I think about how whenever I went to conferences, I hung on every word that people in the industry said and whatever advice they gave. My advice is simple. You’ve GOT to persevere. It is sooooo easy to get discouraged. You’ve got to be willing to listen to critique, but that doesn’t mean that you have to blindly accept it. I’ve always listened to what people had to say, and then took what worked for me, and let go, what didn’t. But, through it all, you have to keep trying and believe in yourself. I know that sounds like a goofy inspirational poster, but it’s true. You have to believe in yourself, and keep plugging away. 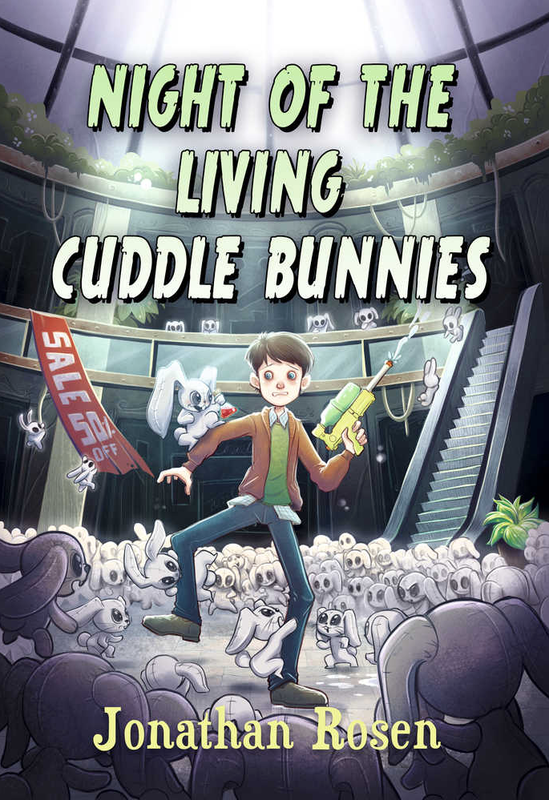 Even though Night of the Living Cuddle Bunnies is my debut novel, it’s the fourth story that I completed. It would’ve been extremely easy to give up at any time when the first three didn’t get through. I have a singing voice like an angel. Okay, that’s not true. There are actually a couple of things that I don’t think many people know. First is, that I’m half-Mexican. I used to live in Mexico for a couple of years and still have a ton of Mexican family. For some reason, this ALWAYS seems to shock people. I guess, because my last name isn’t Hispanic sounding enough. As a matter of fact, I’ve always spoken to my Mexican cousins in English and they answer me in Spanish. It’s a system which works well for both of us. The other thing is, even though I put it in an earlier paragraph of this interview, that I used to be a Theater major. I switched to English, obviously because of the lucrative career choices that come with being an English major, but I guess in reality, I’m still a frustrated actor at heart. I always got a rush out of being onstage and making people laugh, and writing humor is a logical extension of that. 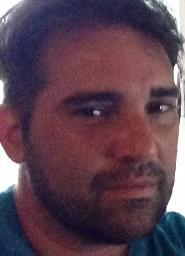 So, if any casting directors are reading this, please know that I’m available! Oh, that’s probably not what you meant. Thanks to everyone at Kidlit411 for having me! Love the site and this was a lot of fun! I love humor in the books I read and I know this author's books will make me laugh out loud. I laughed while reading this interview. Thank you for lightening my day. Hope you get to read this one! Sounds like a really fun book. Looking forward to checking it out.